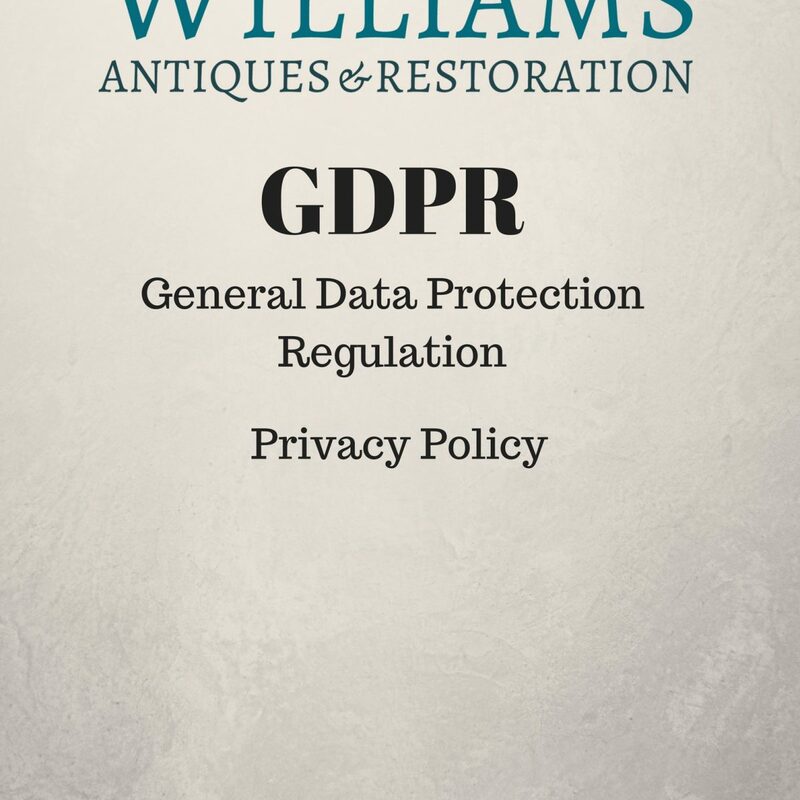 Here at Williams Antiques and Restoration we will take you details (name, address, phone number and email) when we carry out any restoration work or if you purchase an item from our showroom. This information will be stored on our database which is backed up weekly and then kept in a locked office. We would only use your information to contact you about your item of furniture or if we had any queries. We would contact you through an invitation for our bi-annual exhibitions and this may be by post or email. We may contact you through email to let you know about any upcoming events or any new stock we have. The Data Protection Act 1988/General Data Protection Regulation 2018, gives you the ‘right of subject access’. This means that you can view the records we hold at any time. Information can be deleted on request.